Several years of experience from rural water supply projects in Uganda show the importance and potential of collecting and processing data at different stages and levels in the project process. Through established reporting and monitoring systems, the implementing agency and donors are provided with important information, both for a more effective follow up of the project and to document lessons learned that can benefit future projects. 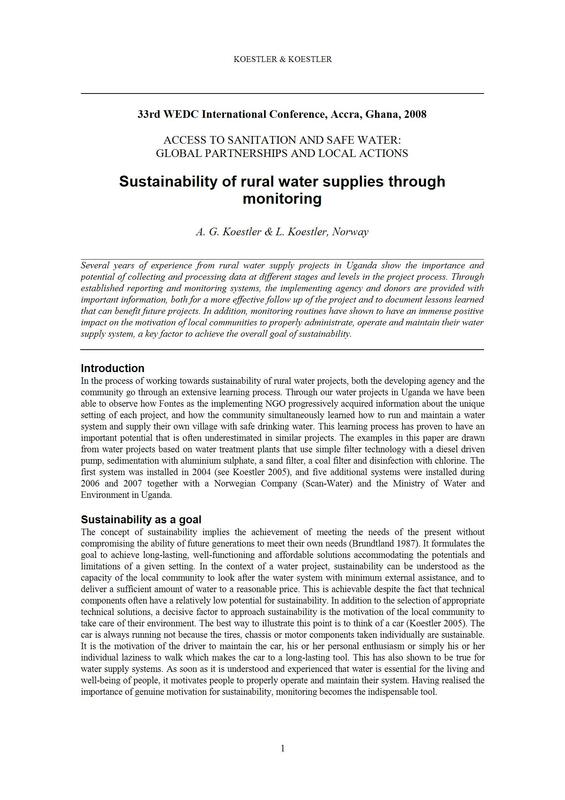 In addition, monitoring routines have shown to have an immense positive impact on the motivation of local communities to properly administrate, operate and maintain their water supply system, a key factor to achieve the overall goal of sustainability.